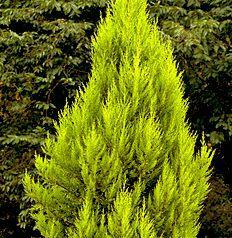 Description: ‘Goldcrest’ is a vigorous, evergreen tree with a narrowly conical habit. Position: Full sun, in any moist, but well-drained soil. Height in 10 years: 4m. 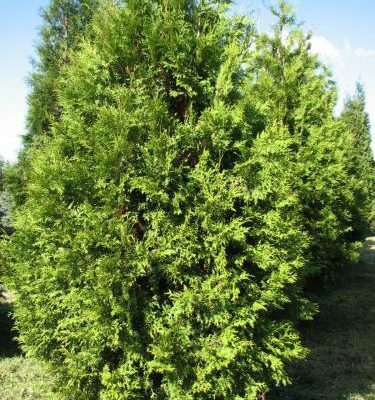 Description: A medium-sized evergreen conifer with medium to light green, very thin densely packed needles, very slow-growing. Position: Full sun, in any well-drained soil. Height in 10 years: 1.8m. 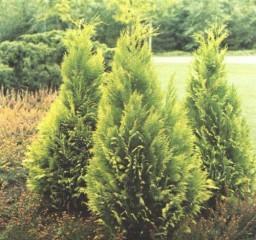 Description: A neat conical habit with bright golden foliage during the summer, best colour in sunny position. Position: Full sun. in moist but well-drained soil. Height in 10 years: 2 – 2.5m. 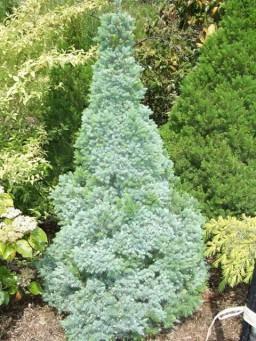 Description: This is a popular upright, narrow, dwarf, blue-green conifer, suitable for rockery planting with heathers. Height in 10 years: 80cm. 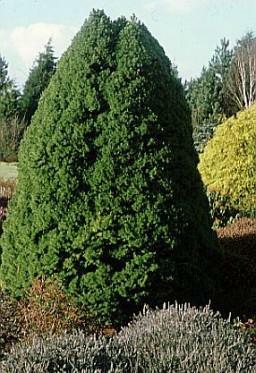 Description: A dense medium to small sized conical conifer with upright sprays of mid-green foliage, forms a nice shape as it matures. Position: Full sun to partial shade, in medium to well-drained soil. 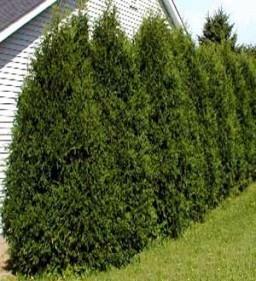 Description: An attractive, evergreen conifer with compact growth habit that makes it ideal for hedging purposes. A fast-growing variety, with up to 60 cm of new growth per year. Position: Full sun to partial shade, tolerant of a wide range of soils. Height in 10 years: 3m.